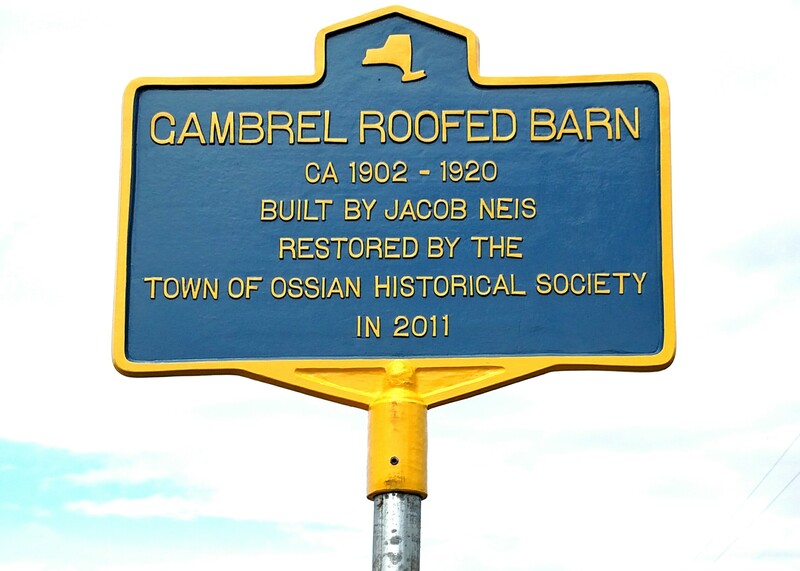 The first project of the historical society was a restoration of a local barn. The Saunders Foundation generously donated the funds to use to restore a historically significant barn in Ossian to its original state. and other established preservation programs. the barn had to be in a farm setting so it can be seen in relation to surrounding fields and other farm structures. and the person who built it had built other buildings in Ossian. The project was started in June 2011 and completed on or about September 5, 2011. 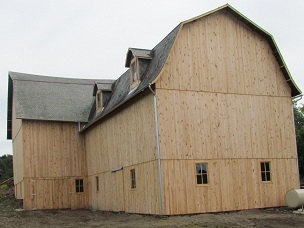 The completed barn is shown here. New Sign from the state of NY. An open house was held at the barn on October 22, 2011 and we were happy that Alice Acomb and her family where there to answer questions and reminisce.